Riyadh (AFP) - Princess Rima bint Bandar, Saudi Arabia's first woman ambassador, is a social campaigner on the front line of government efforts to boost the kingdom's battered international reputation despite never having worked as a diplomat. The 43-year-old princess was named envoy to Washington on Saturday as the kingdom faces pressure from US lawmakers over last year's murder of journalist Jamal Khashoggi by Saudi agents and its bombing campaign in neighbouring Yemen. A member of the Saudi royal family, the divorced mother-of-two is a vociferous advocate of women's rights and previously worked at the kingdom's General Sports Authority, where she led a campaign to boost sports education for girls in schools despite opposition from hardliners. The princess has an entrepreneurial background, having once served as the chief executive of luxury lifestyle store Harvey Nichols in Riyadh, according to Saudi state media, and has actively campaigned to raise awareness about breast cancer. 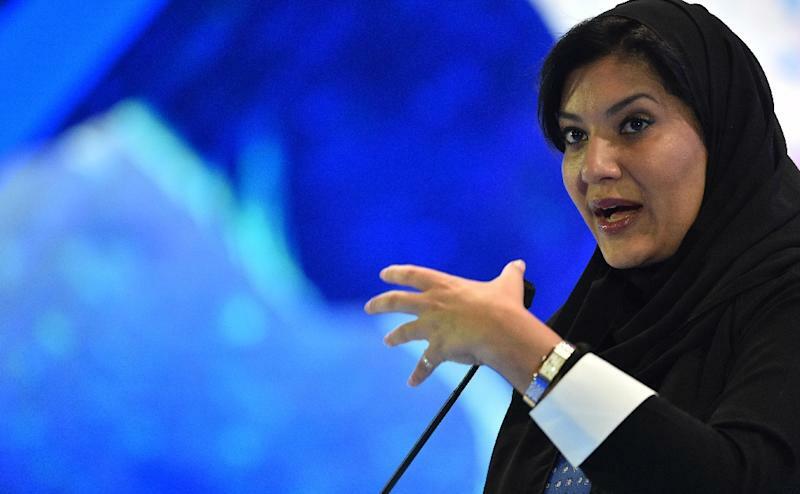 She has no diplomatic experience but spent several years in the United States during her youth as the daughter of Prince Bandar bin Sultan, the Saudi ambassador to Washington from 1983 to 2005. She received a bachelor of arts degree from Mount Vernon College at George Washington University in 1999. A Saudi official who knows her told AFP she seems well-versed with the American political scene, as she takes on her role in Washington. The new envoy has worked as an advisor to Crown Prince Mohammed bin Salman, who has faced virulent criticism from US lawmakers over Khashoggi's murder in the kingdom's Istanbul consulate last October. But the princess, fluent in English, has strongly defended the crown prince in international circles, describing his social reforms such as ending a ban on women drivers as "evolution, not Westernisation". "You ask us to change, but then when we begin to exhibit change you come to us with cynicism," she said during the last World Economic Forum. "Why but? Do you say that to anyone else?" The princess has spoken of "monumental leaps" for women's rights, but has refrained from commenting publicly on the arrest of several female activists last May and subsequent claims that some of them faced sexual abuse and torture in detention.